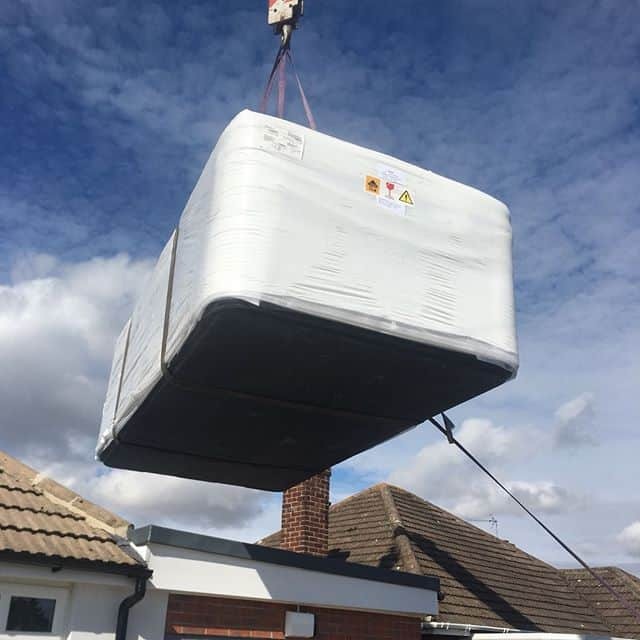 Our standard delivery service which we offer free of charge on all Hot Tubs and Swim Spas includes delivery of your Hot Tub or Swim Spa. 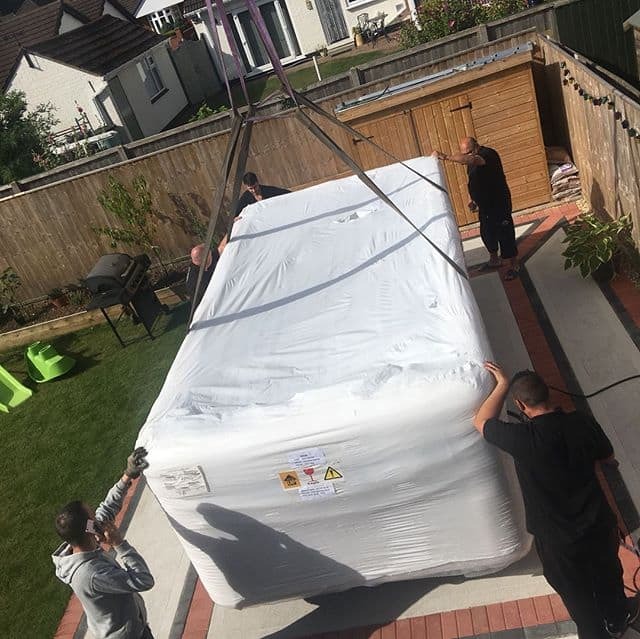 A two man team will offload your Hot Tub or Swim Spa from our delivery vehicle and will position your spa in your garden. Please note that a minimum of 1.2 metre width is required if we are moving the spa (please look out for steps, drain pipes, gates, corners etc, which could impact 1.2 metres). - Please contact us if you are unsure about this. Once our team have got your spa into your chosen location, our team will lower the spa and move this into it's final position for you. Our delivery team will remove all packaging from the product and will ensure that your property is left neat and tidy. 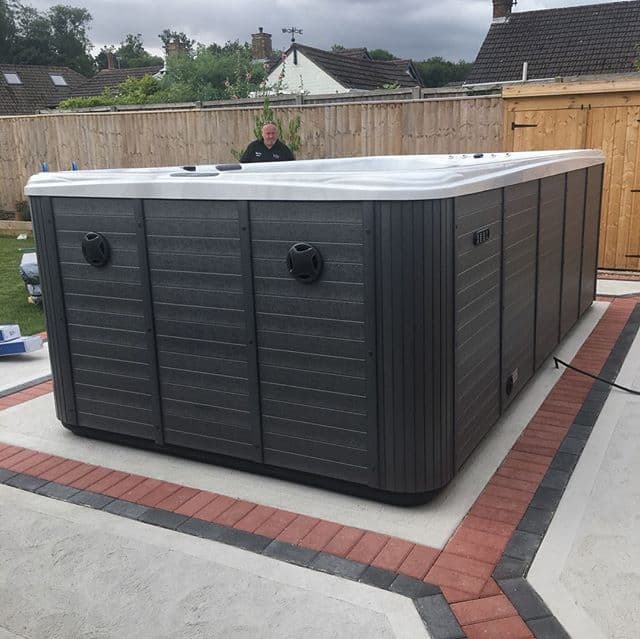 Full Install and Electrical Installation - We have a team of qualified electricians who can install your hot tub electrics during our delivery process - please get in touch with us for a quote. Please also note that crane services are not included in any of our delivery packages. 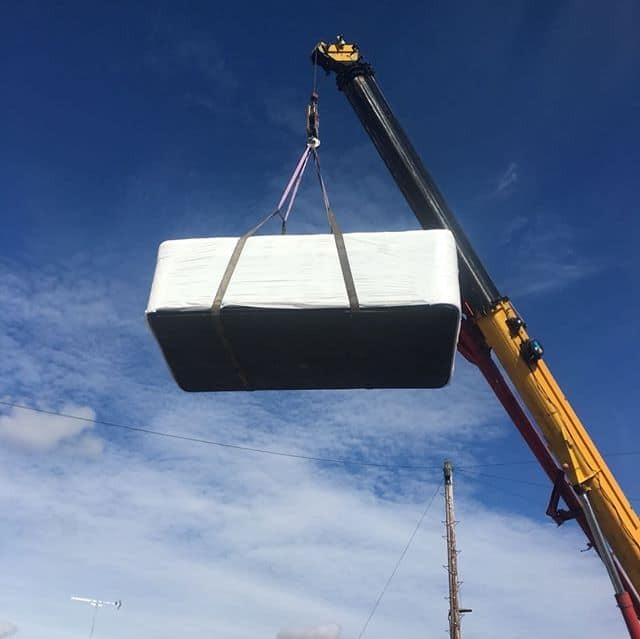 If you suspect that you may need a crane assisted delivery then please contact us for further information and pricing. You can also email over some photos of access and speak with our Logistics Manager in our office. All Miami Spas Hot Tubs and Swim Spas include our standard FREE delivery and installation! Delivery to Northern and Southern Ireland, Scottish Islands, Isle of Man, Isles of Scilly, and Channel Islands, please contact us for delivery charges. On all overseas orders please contact us for delivery charges. Delivery will need to be cancelled with at least 48 hours notice. If we are noticed later than this point then there will be a cancellation charge of £150 and re delivery scheduling charge of £400 will occur. If your desired product is in stock you can expect it to be delivered in 5-28 working days for Hot Tubs and Swim Spas (sometimes this time may increase due to popularity of products and stock levels) and 1-3 working days for accessories and parts. Our products will be sent from our warehouse and straight to you. If there are any weather problems or anything that may affect your estimated delivery time we will contact you. We will then explain if there will be any change to the date in which you will receive your product and hopefully a new estimated date. We cannot be blamed for any delivery delays after the product has left our warehouse but we can guarantee that we will try our hardest to find the problem and do what we can to sort it. If your desired product is out of stock you can expect it to be delivered in 6-8 weeks, although we will endeavour to get your product to you as quickly as possible. Please use this guide to help prepare for delivery of your new hot tub and clear up any final questions you may have.